Ships from and sold by cdepotshop. A comic, brutal and passionate take of greed and love in Victorian England. A top-notch cast of veteran actors and rising young newcomers shines in a lavish new British production of the Charles Dickens classic. 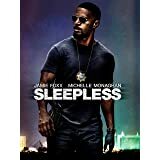 The hero, a penniless young gentleman, struggles to make his way in the world and protect his mother and sister, meeting up with the worst and best of humanity along the way. Charles Dance (The Jewel in the Crown) stars as Ralph Nickleby, with James D'Arcy (Rebel Heart) as Nicholas and Sophia Myles (Mansfield Park) as his beautiful sister, Kate. Other standouts include Lee Ingleby (Ever After) as Smike, Nicholas' faithful companion, and Dominic West (28 Days) as the lecherous Sir Mulberry Hawk. A vengeful uncle, a headmaster from hell, upper-class wastrels and twin benefactors. These are just some of the larger-than-life Dickens' characters portrayed to perfection in this lavish new production from Britain's Channel Four. Featuring Charles Dance (The Jewel in the Crown) as Ralph Nickleby, the wealthy and cold-hearted uncle whom Nicholas (James D'Arcy) and his sister Kate (Sophia Myles) turn to when their father's death leaves them destitute. Nicholas eagerly takes on a teaching job at a boy's boarding school, but flees after rebelling against the unspeakable horrors there. Meanwhile, his sister's beauty attracts menacing attention from a group of rich, boorish swells. With powerful enemies marshaled against him, Nicholas struggles to find his way in the world and rescue his family. DVD SPECIAL FEATURES INCLUDE: cast filmographies, Charles Dickens materials and scene index. 5.0 out of 5 starsDickensenian Delight! As this film so wonderfully illustrates, wealth and breeding are not necessarily accompaniments. The production itself, however, is a marvelous composition of both: a classily written rendition of the oft-told Victorian tale, richly replete with an amazing repertoire of actors who utterly pack each portrayal with charm, wit, and panache! The mood ranges from low-key pathos to manic buffoonery, the latter wrought by the gluttony, lust, and greed of what must be among the most scrumptiously scuzzy characters ever seen on the screen! Liz Smith in a familiar old-hag role and George Innes as a grubby lecher are definitely not to be missed! Throughout, Dickens' horrific vision of nineteenth-century poverty and child abuse is never compromised, and a number of the scenes are truly nightmarish in intensity. Particularly poignant is the portrayal of the waif Smike, brilliantly played by Lee Ingleby. Like an accomplished orchestra, the movie strikes the chord of every human emotion and is immensely enjoyable, enlightening, and uplifting! 5.0 out of 5 starsHow else to explain it? This is Dickens! Charles Dickens- love him or hate him, you must admit that there was never anyone like him. His books are full of social critiques, melodramatic romances, characters so eccentric that they border on crazy and of course jaw dropping coincidences. The books are also wildly entertaining. 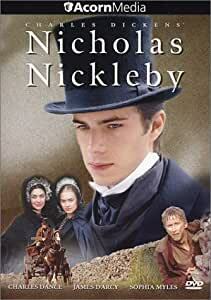 There has been a revival of Dickens lately in the form of TV mini-series and Nicholas Nickleby is the latest. 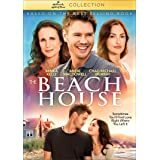 The title character has just lost his father in death and now, in his late teens, he must find a way to support and protect his sweet sister Kate and somewhat silly mother. Their only relative is their uncle, the greedy and cold Ralph Nickleby. Ralph gets Nicholas a job as a teacher in Yorkshire and Kate a job assisting a dressmaker. Here is where the main problems of the story come into play. Both Kate and Nicholas have the same problems, they are too good looking and talented. That may seem like no problem but they have no money and their equals in station are jealous of them. Also, they have to fend off unwelcome advances at every turn. The young actors playing Kate and Nicholas manage to make their characters good without being saccarine, a challenge to say the least. The Yorkshire school where Nicholas is sent is a horror, the boys are abused particularly the silent waif Smike. Nicholas befriends Smike and then protects him from a beating. Forced to escape with Smike, Nicholas is disowned by his uncle for being ungrateful. He is told that if he sees his sister and mother again, Ralph will throw them into the street. Nicholas agrees to leave but swears vengeance if Kate or his mother suffer in any way at Ralph's hands. This is pretty much how the movie goes, more and more problems come up and the characters escape by the skin of their teeth. The rivalry between Nicholas and Ralph is very well acted and one of the highlights of this miniseries. If you are looking for an old fashioned soaper, this is it. I could not reccommend it for children since some of the abuses at the school are rather disturbing. However, this is how things were in the worse schools in Dickens's time and it is rather an eye-opener. I would say in American ratings, this movie ranges from a PG to a PG-13 so parents will have to make their decisions accordingly. James D'arcy is perfectly cast in the title role as Nicholas Nickleby, a young, well-meaning but penniless gentleman who tries to earn an honest living to support his loving mother and sister who are dependent on him. First, he accepts a position as a teacher at a Yorkshire boarding school, not realising the horror that awaits him at the school run by the cruel Mr Squeers. When he could no longer endure the cruelty and atrocity inflicted by Squeers on the young children, he runs away from the school, followed by a boy (Smike) who has long suffered abuse and gross mistreatment at the hands of Squeers. Both Nicholas and Smike quickly become inseparable, loyal friends. By a strange chance, they go on to become actors at a small theatre run by the Crummles family. After being long separated from his mother and sister, Nicholas later leaves the theatre and makes a hasty return home to save his sister from a sinister plot cooked up by his evil uncle, Ralph Nickleby (played by Charles Dance). Ralph is a rich, old miser with a heart of stone who hates Nicholas intensely (mainly because he is jealous of Nicholas's youth and goodness of heart). James D'arcy's "Nicholas" is endearing and wonderful to watch. If you are a female viewer, you will be most pleasantly surprised (and awed) by his uncommon good looks. He is so strikingly handsome and will make you swoon! He reminds me of a young Ralph Fiennes (the eyes and upper part of the face) and Ethan Hawke (the lower part of the face). The beautiful Sophia Myles is also well cast as Nicholas's sister, Kate, a sweet and wholesome-looking girl who has to fend off unwanted male attentions wherever she goes. The many supporting characters (queer, eccentric folks, all) help spice up the plot and inject much humour into the story. Most notably, the Squeers family (an incredibly obnoxious and hateful family), the Mantalinis (a lovey-dovey couple who runs a fashion house; but they fight a lot too), the Crummles family (who owns the theatre), the generous Cheeryble twin brothers, Newman Noggs (Ralph Nickleby's reluctant assistant) and Arthur Gride (a hideous-looking and repulsive old man who plots to marry the beautiful Madeline Bray who also happens to be the object of Nicholas's affection). My only complaint is that the actress who plays Madeline Bray has too much make-up on (her face is too thickly powdered and it shows because you see that her neck is tan). Also, the scarlet red lipstick is unsuitable for her character who is supposed to be a simple, poor girl who would not have the time, money nor inclination to buy or use make-up! I feel this adaptation does good to leave out some of the minor characters from Dicken's novel because they do not serve the plot much, such as the large Kenwigs family and the madman who lives next door to Mrs Nickleby (Nicholas's mother). Otherwise, this production would be another hour long, at least. I thoroughly enjoyed this adaptation and would recommend it to all fans of high quality period drama.